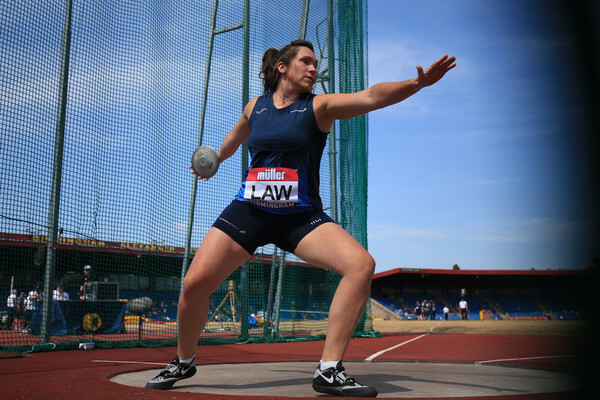 Diane Ramsay’s athletics career includes a clutch of medals and achievements which culminated in representing Scotland at Hampden at the Glasgow 2014 Commonwealth Games. The 25-year-old duly ‘hung up her spikes’ early in 2017 with her time as a 400m runner consigned to the past. It would be utterly wrong to describe Ramsay as having ‘retired from the sport’ or to suggest she has ‘fallen out of love with the sport’, as such announcements sometimes do in the media. Nothing could be further from the truth. 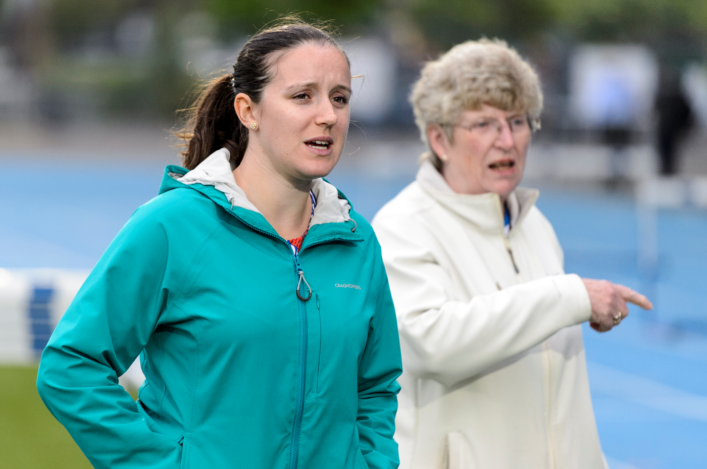 Diane, in the interim, has forged ahead with potential new interests within athletics as a scottishathletics Official, a jogscotland Jog Leader, and as a track and field team manager. Talk about giving something back! 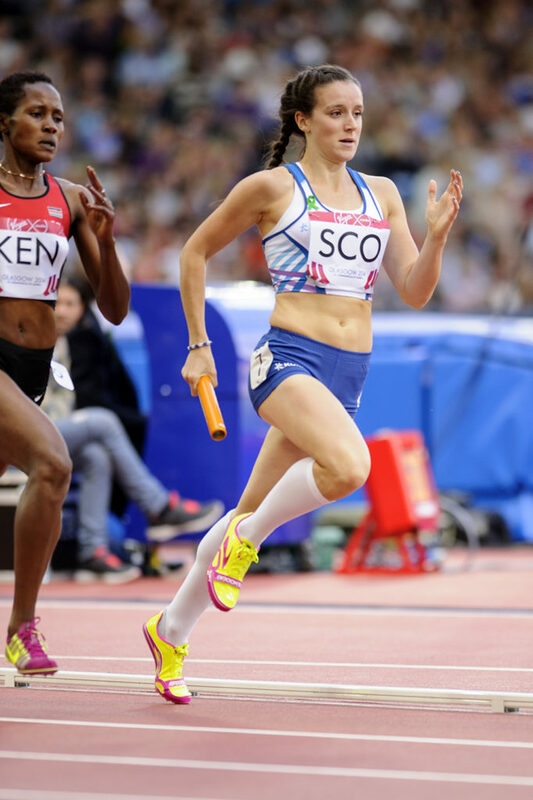 ‘I stopped training as a 400m runner last March and took up a bit of road running – doing the Kirkintilloch 10K in June because Kirky Olympians were actually my first club,’ Diane told us in an interview for the new edition of PB magazine. ‘A few months later I was asked to help out as a volunteer at the Age Groups because it was at Scotstoun and VP-Glasgow were the host club. 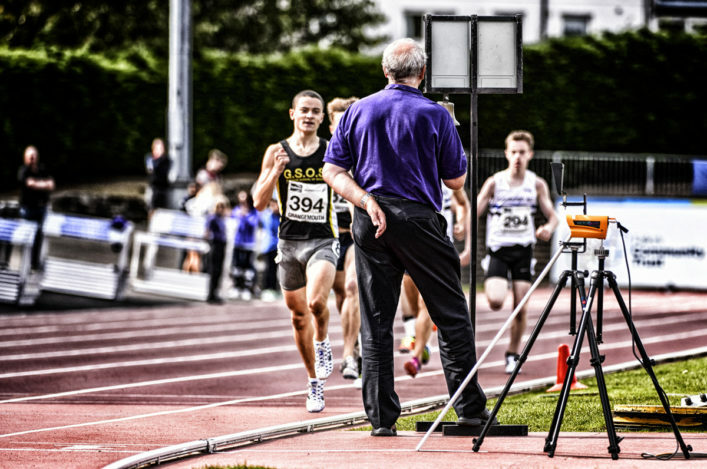 ‘My mum and dad are already scottishathletics Officials, so I went and helped out on Declarations that day. While I was there, Liz Wilder asked me to come and have a look at seedings. ‘It’s another part of the job for the officiating and the admin and I suppose I was able to give a bit of an athlete’s perspective on it. The computer does the seeding itself but you can still cast your eye through it and maybe help a bit. I did it at the FPSG Age Groups at the Emirates Arena in the winter and it was actually a bit weird because I knew a lot of the athletes we were seeding. ‘I’m seriously thinking now about becoming more involved as an Official and will probably look to take one of the courses to get qualified. 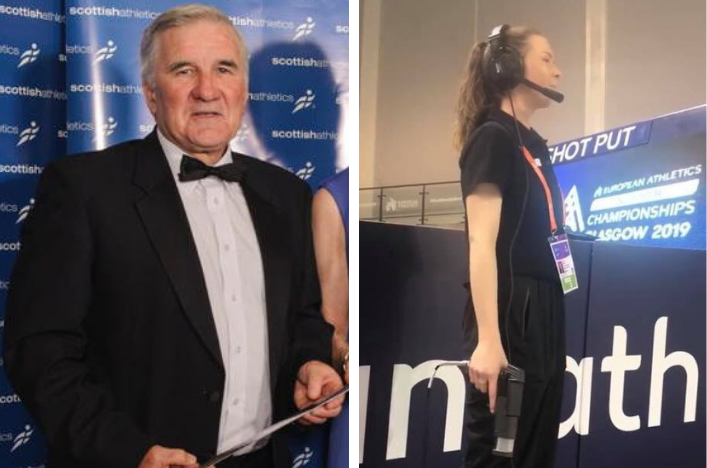 With her brother, Allan, currently involved in Laura Muir’s training group, the Ramsays continue to make a big contribution – like a number of families in athletics in Scotland. ‘I guess, as a family, athletics is just what we always seem to have done and I’m happy to keep that going,’ she added. ‘This summer I am team manager for Glasgow in the UK Women’s League and that is a big admin job. We’ve events in Bedford, Liverpool and Sheffield so I have to book the trips and the hotels and sort out a lot of stuff for the whole team. As if that isn’t enough, Diane has also taken a coaching course with jogscotland after her club, VP-Glasgow, took the decision to create midweek running groups to try and stimulate more Senior presence in road running and cross country. ‘I’ve taken a Jog Leaders course because VP-Glasgow are starting up a group and I enjoyed it,’ she said. ‘I’m really pleased to be involved in that and I hope it will feed people into the sport and the club. ‘I work for investment bankers JPMorgan and I started a running group there with two guys a couple of years ago – and we had 60 new starts racing in the Great Scottish Run. We might just as easily add that it’s great to see those who never lose the running bug . . . and keep making a contribution to the sport.